Slap bass guitar lessons cover the essentials to this fun and flavoursome technique for playing bass guitar. Sometimes called thumping, popping, snapping or thumbing, slap bass is an impressive and distinctive sound and a core technique for funk and disco repertoire. In essence, slapping can be thought of a ‘drumming’ on the bass. Similar rhythmic ideas are introduced and if you’ve ever played drums on the car steering wheel or on your knees and lap, you already have a good idea what slap involves. A 2-handed technique, slap involves some co-ordination and dexterity but once grasped, the possibilities and rhythmic ideas are boundless. Slap bass emerged from the funk music of the 1970s and was pioneered by master bassist Larry Graham. Quickly adopted by players from many genres, the mainstream music press were first exposed to the style in the early 1980s when Mark King, from UK funksters Level 42, took the slap technique and made it his own with his signature ‘machine-gun’ style that influenced many young bassists at that time. Since then, slap has crossed over into other styles such as metal, with Fieldy from US band Korn, and Tim Commerford from rap-rock band Rage Against The Machine both using the technique to great effect as well as the Hawaiian powerhouse Robert Trujillo with both Metallica and Infectious Grooves. Even Flea from the Red Hot Chili Peppers likes a good slap. 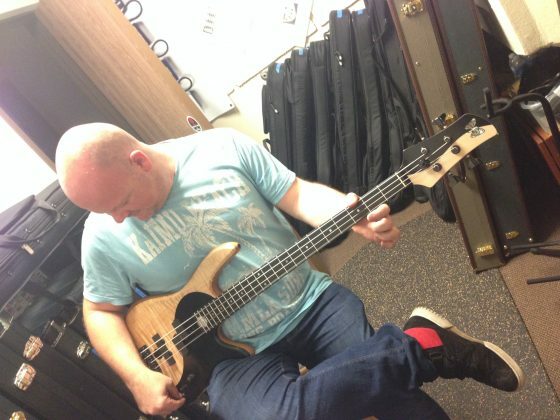 Study with a bass guitar coach, experienced both as a tutor and as a professional musician. 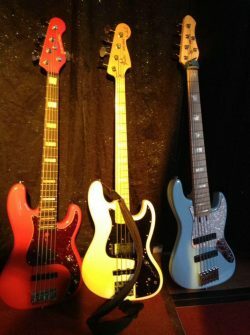 Learn in you slap bass guitar lessons, how to achieve the sound, and how is it applied in real life band situations. Contact us to book slap bass guitar lessons today.